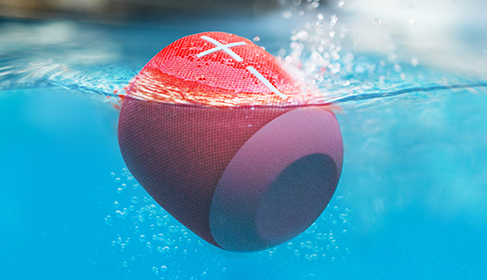 Meet the latest addition to the Ultimate Ears family of portable, seriously waterproof, go-anywhere speakers: the new Ultimate Ears WONDERBOOM, a pint-sized BluetoothⓇ speaker with huge personality and surprisingly big sound. 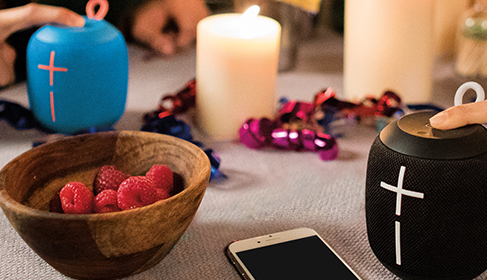 The ultra portable WONDERBOOM delivers uncompromising sound quality with clear, crisp, non-stop sound, as well as big, beautiful bass. WONDERBOOM is available in six fresh colours: Stone (Grey), Phantom (Black), Fireball (Red), SubZero (Blue), Cashmere (Pink) and Lilac. Like its award-winning siblings Ultimate Ears BOOM 2 and Ultimate Ears MEGABOOM, WONDERBOOM blasts crisp and clear 360-degree sound with immersive, balanced bass and is drop-proof from up to five feet. WONDERBOOM boasts a 10-hour battery life and 100-foot wireless Bluetooth range. Seriously waterproof and worry-proof, WONDERBOOM is IPX7 rated (so it can be immersed in water up to one meter for up to 30 minutes), floats on its own, and sports a hanging loop on top so it can be easily attached to any bag. 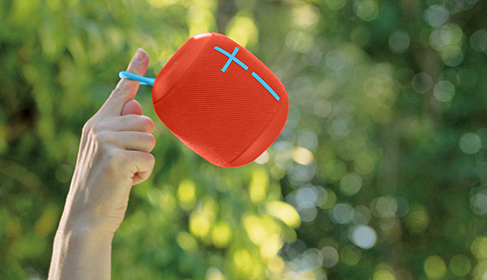 Gear on with WONDERBOOM on a bicycle, hook it to a backpack, or cannonball into a cove without thinking twice. Never miss a beat with the new WONDERBOOM. Live for fun, not fussy features. Ultimate Ears WONDERBOOM is expected to arrive in South Africa later in 2017.